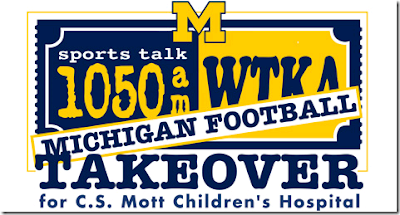 Listened to this for a little bit on my morning commute and then saw Greg from MVictors had posted the info and all-star UofM lineup for Mott Takeover Day on Ann Arbor's 1050AM WTKA. Basically, CS Mott Children's Hospital has taken over the station for the entire day in order to raise money. According to host Ira Wientraub at around 9AM, they had raised close to $6,000 just in the 8 o'clock hour alone. 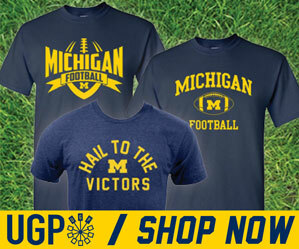 Very nice Michigan fans! Please allow me to basically copy/paste Greg's post here with all the details. Live Video stream of the event: It works! Podcasts throughout the day: Here. Very cool .... thanks for sharing!